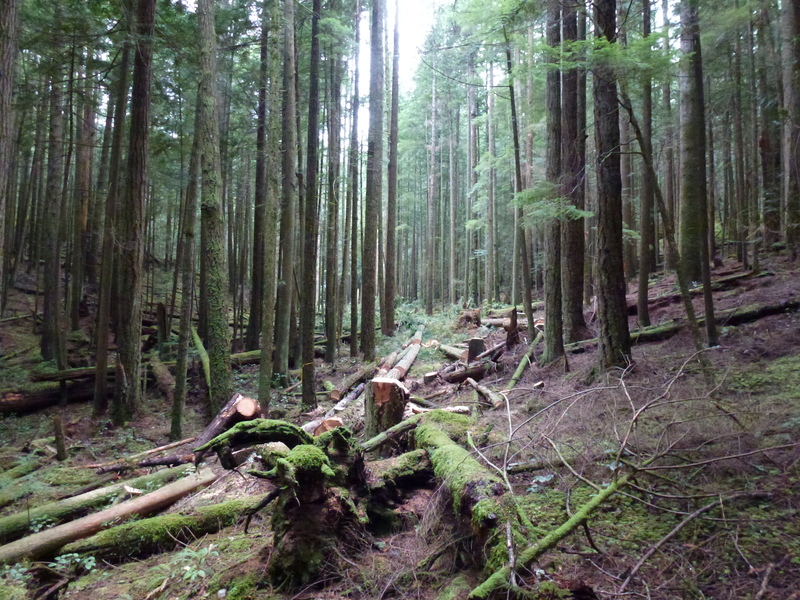 The call went out last night for members of the community to attend a dawn gathering at the trail head of the Wilson Creek Forest (EW002). 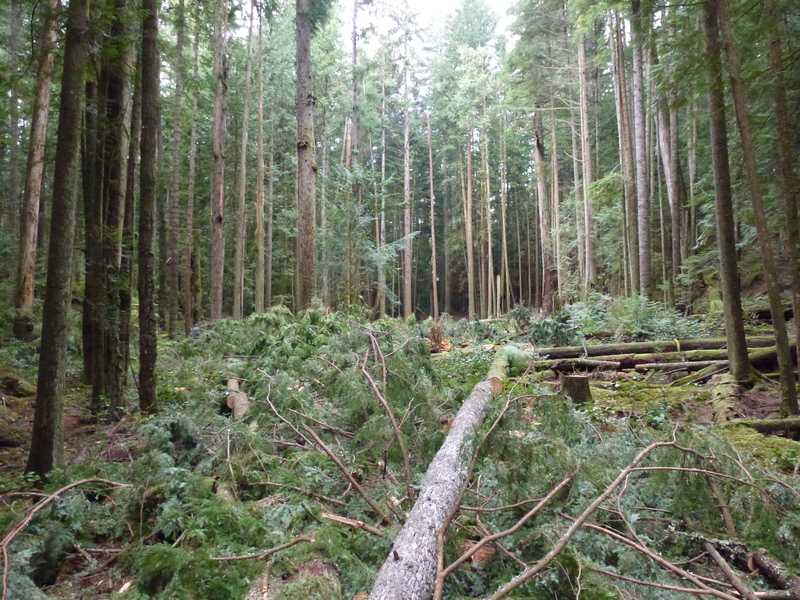 It was cold and dark but approximately 20 responded to the call early Tuesday morning at 6:30 am. 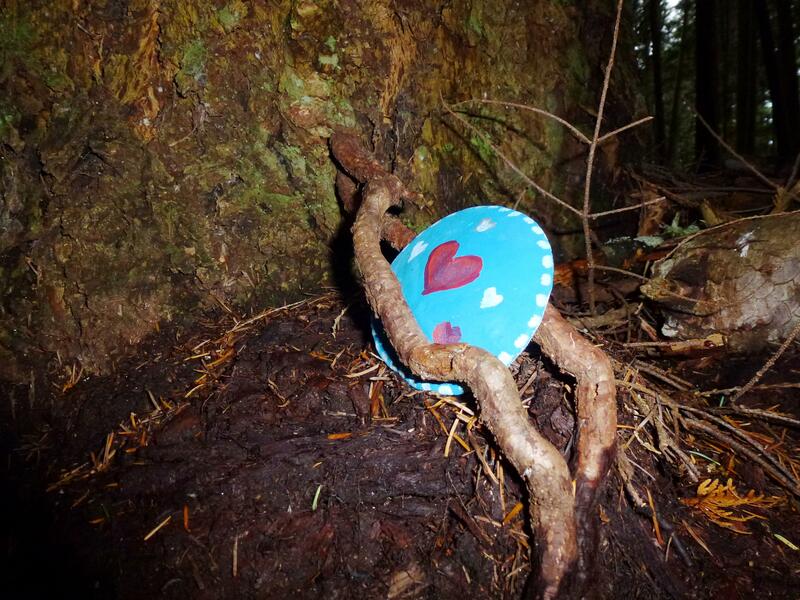 ~ Thank you to all that attended and to those that were there in spirit. 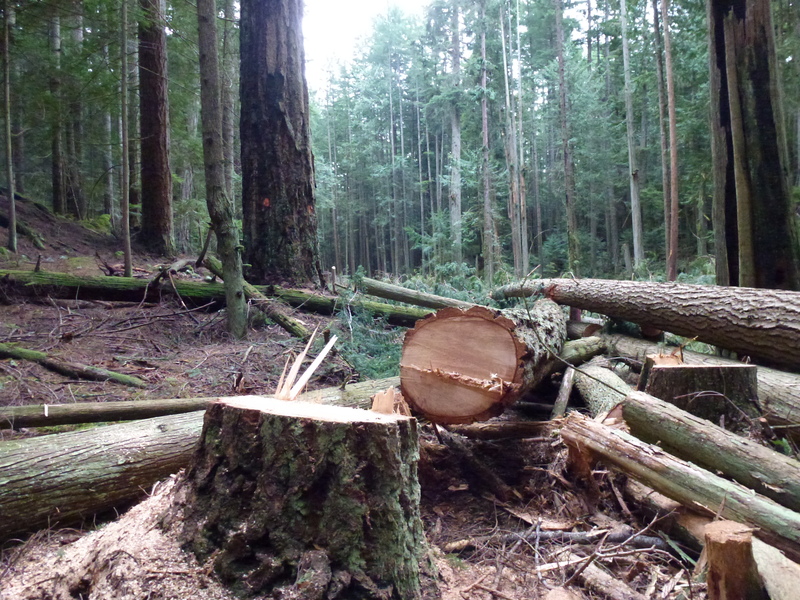 As morning came and the dawn mist burnt off, one group spoke with Dave Lasser the operations manager of (Sunshine Coast Community Forest) the company that commenced logging yesterday, while another explored the forest . 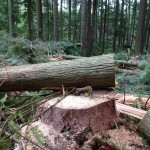 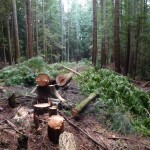 Yesterday, with a court injunction in place (signed by a Judge in Vernon) and while the RCMP stood guard with vehicle blocking the road, enforcing the injunction, the roar of chain saws could be heard in the distance – the company started logging – entering the forest at the upper end of the cutblock. 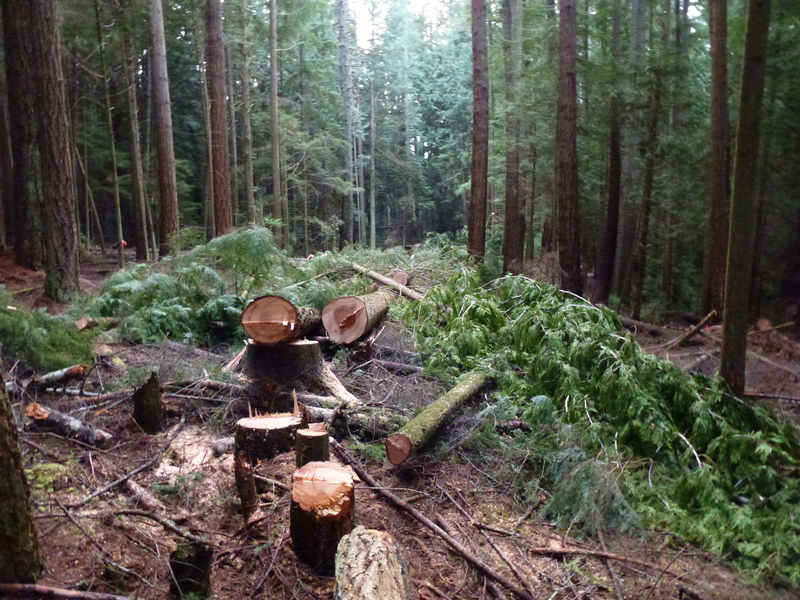 Early gutting of this “jewel’ of a forest has commenced. 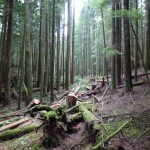 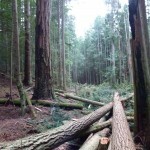 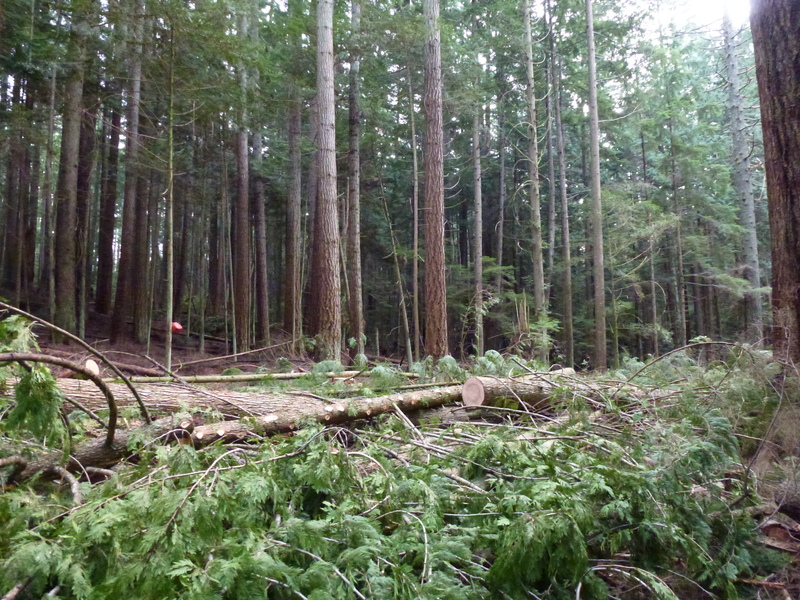 The Wilson Creek Forest was a valuable, close proximity, recreational resource for the community, was the key western ‘anchor’ forest in the the proposed Mt Elphinstone Park expansion and was one of the last intact forests in the already drastically over logged (85%) Wilson Creek Watershed. 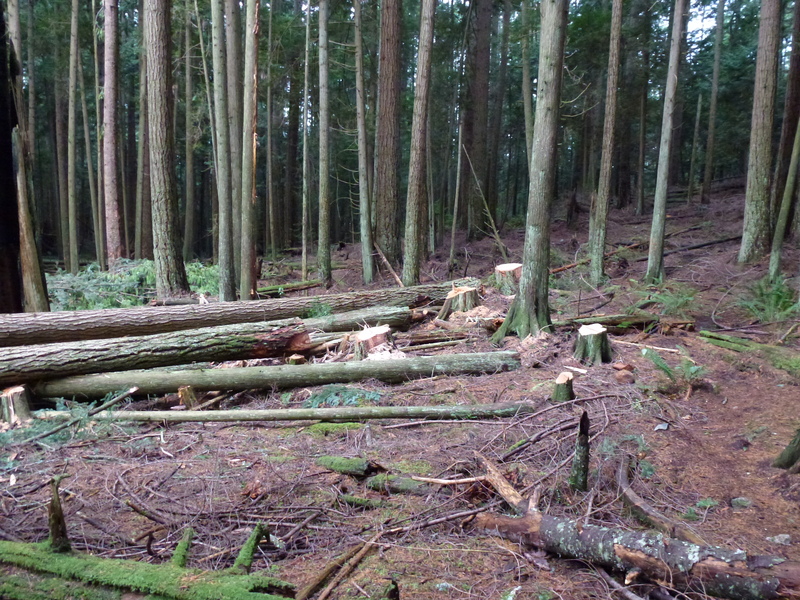 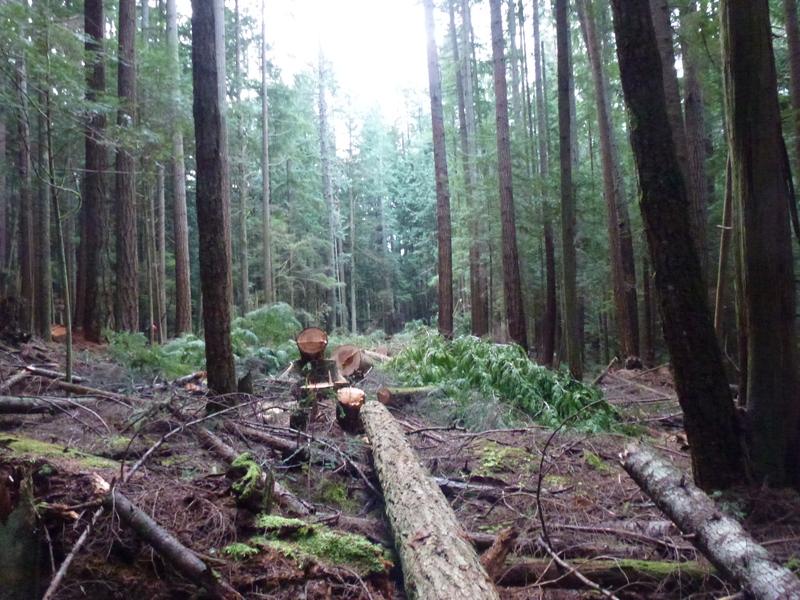 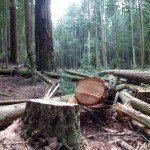 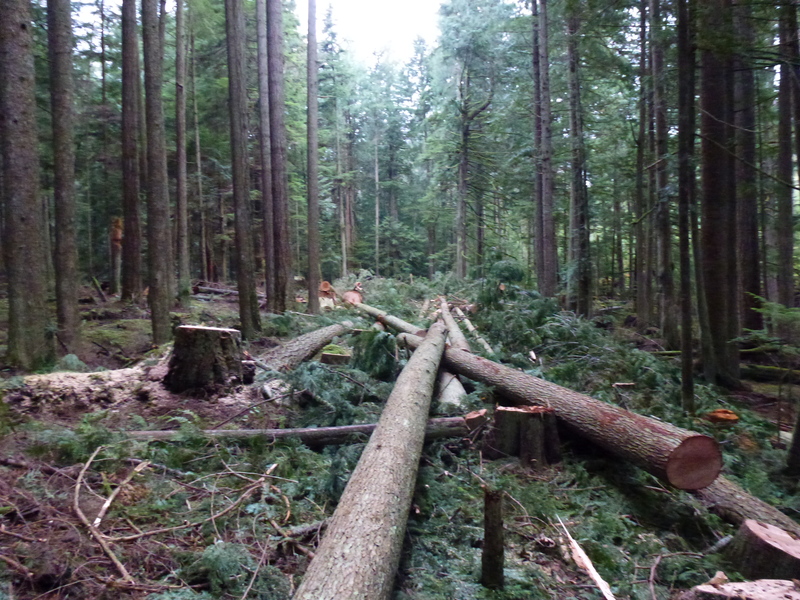 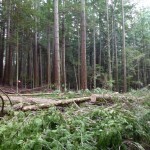 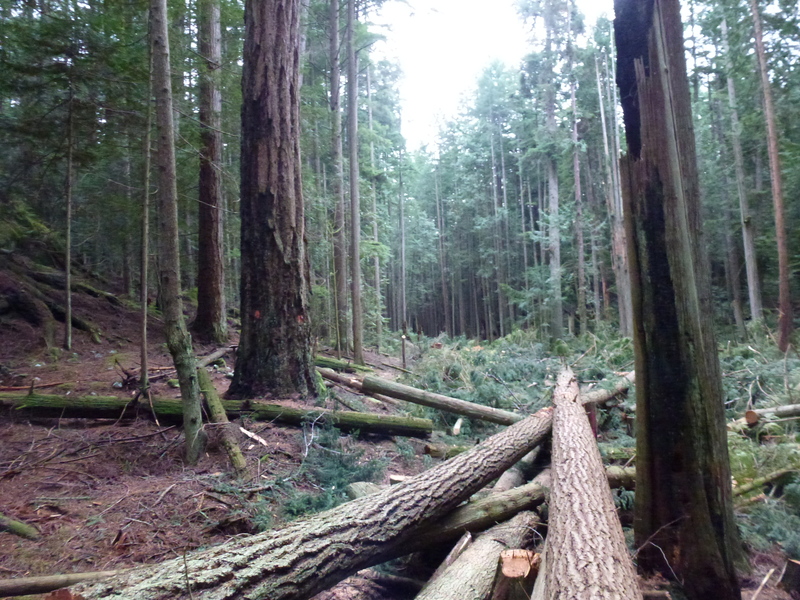 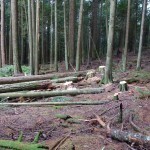 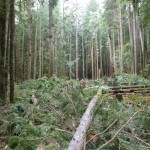 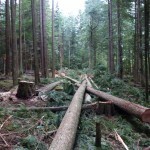 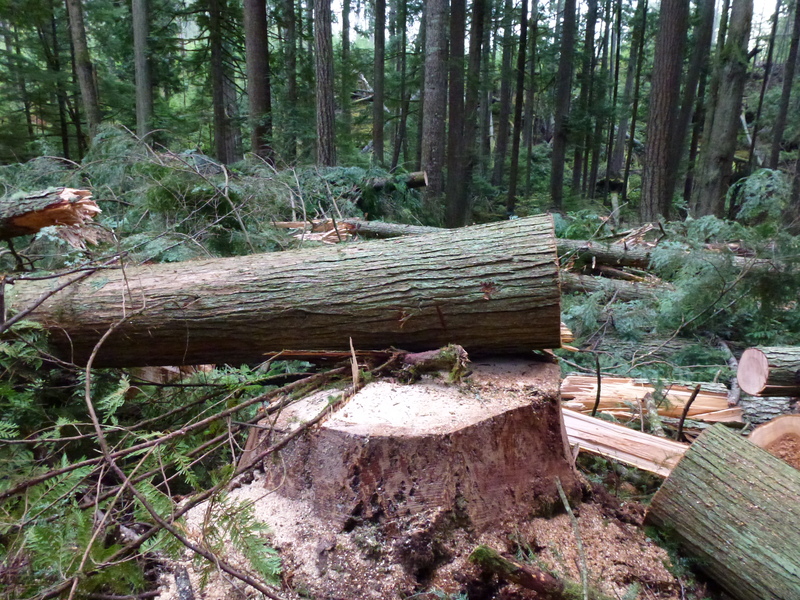 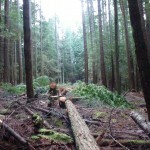 Yet those elected officials (the DoS – District of Sechelt – Mayor Henderson and Council) that own 100% of SCCF the private company SCCF (Sunshine Coast Community Forest) did not feel these reasons were good enough for protection. 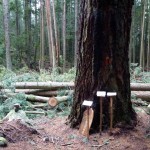 They ignored the people’s call for protection – that has gone on over the last two plus years – the thousands of emails, the phone calls and the postcards. 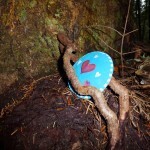 As a last ditch effort to save this forest ELF raised, from benevolent community members, $15,000 and presented this to the District of Sechelt who refused it. 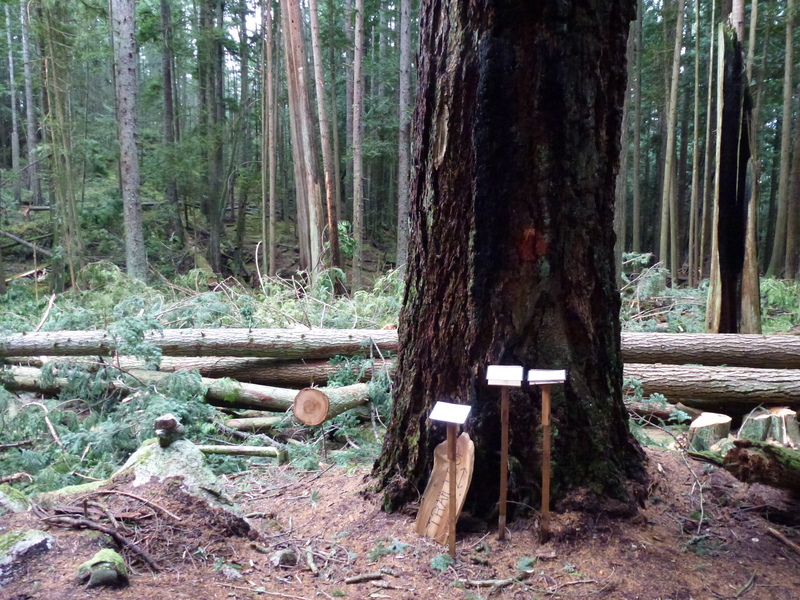 What a lost opportunity – The DOS could have had $15,000, added a new park for the community, and then had another dividend at the end of the year from SCCF.